A developer has supposedly bought the quickly deteriorating Ransom Gills house and plans to restore it. The Carlton Hotel is currently being redeveloped into loft condominiums. This nearby building is also set to be renovated soon. Wow! There is some really great old architecture here. Too bad there are so many severely deteriorated homes. It's great that some of them are being restored though! Although its been through a lot, this neighborhood still has a lot of potential. The architecture there is some of the best, the city has to offer. I absolutely love the architecture of the area. Fantastic photos, Allan. Thanks guys! The Brush Park area does have some amazing architecture. 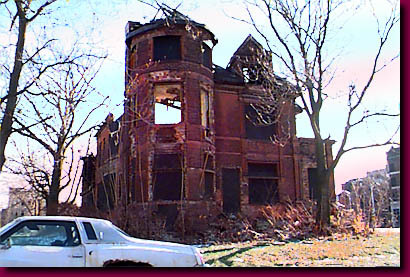 The northern part of the neighborhood has more intact homes than the southern part does, where only a few homes remain. The neighborhood is being revitalized quickly, however. In ten years it will look nothing like it does now. Here are some images of the neighborhood taken a few years ago. All photos courtesy of Lowell Boileau. This rowhouse was one I remember well from my visits to the city as a young boy. 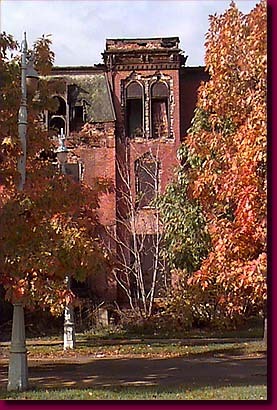 Located on Brush Street, it was demolished in 2001. Here are two images of the same house. I honestly don't know where is house is or was...I think it may have been demolished. The Ransom Gills house gets more deteriorated with each passing day. Here it is just a couple of years ago, when the turret still had a roof. Recognize this house? I included it on my photo tour. It has obviously had a great deal of work done to it since this photo was taken. This home was not on my tour, but it has recently received a new roof and new plywood over the windows. There is still much work to do, but it is being restored. I left this home our of my tour, but it too has been restored. I do not recognize this house. 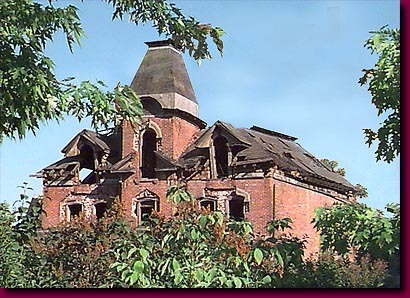 Either it has deteriorated beyond recognition or met its fate at the hands of the wrecking ball. Woodbridge is another neighborhood that was built around the same time as Brush Park. The neighborhood suffered a similar fate, although many of the homes have been restored. I will post my Woodbridge photos sometime. I've got thousands of photos and never know which ones to post first! One the smartest things the city ever did was to make Crosswinds restore the houses in its project area. If that rowhouse had been located in the right spot it'd likely be on the way to restoration. Just think what it would say about the city, that ruin for Beverly Hills Cop had been restored. 92 Alfred Street is the latest home to meet the wrecking ball. After it had several fires, the city decided to tear it down. 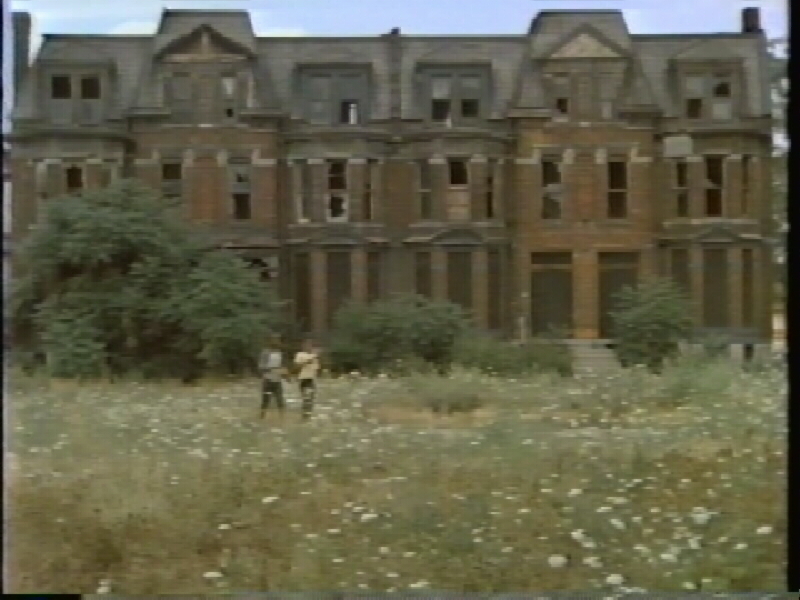 Well, it looks like Brush Park is really getting claaned up, especially with the restorations. Although buildings are getting torn down, new ones are going up. I hope this renewal spreads like a disease and infects the whole city. Neighborhood by neighborhood, this city will be cleaned up. Now we have to get rid of the projects in that area. I remeber reading an article in the Free Press how these public housing units were being ignored. Garbage wasn't being picked up, elevators were not being fixed, and basic repairs were not being made. I honestly don't think it was neglegence. The residents continued to complain to the city to fix the conditions, but they were ingorned. I think the city was hinting that these projects' days are numbered, and that the people should consider leaving. Low income highrise housing does not work. Low income rowhouses do work! Judging by the pictures the area has a lot of potential. 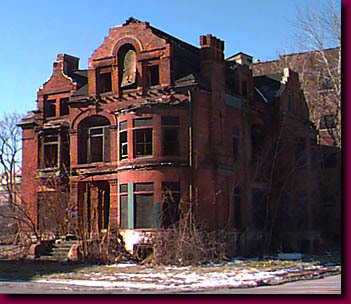 I would like to see them restored and new home built in the area. It could be like Jacksonville's Springfield. The project's days are definately numbered. I have a feeling that they will be going the way of the Jefferies projects within the next few years. The city hasn't even maintained the heating system in the towers. I remember reading an article last winter about that. The only reason many of these homes are being saved is beause the city is requiring it as part of the deal allowing the Crosswinds rowhouses to be built in the neighborhood. A lot of the homes are actually being redeveloped at a loss to the developer. That is a shame that it was worked out that way. 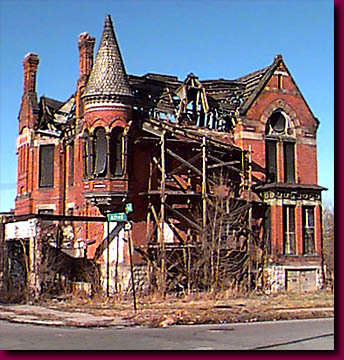 Those homes should be restored based on their historical influence, not for the money to develop another project. It certaintly looks like the neighborhood has excellent potential. 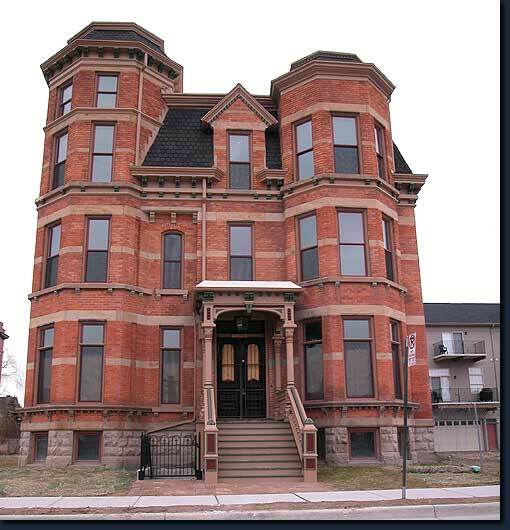 Just one quick question: How many people have moved in to the newly restored apartment buildings/houses? True, but it was either that or have a bulldozer plow them all over. 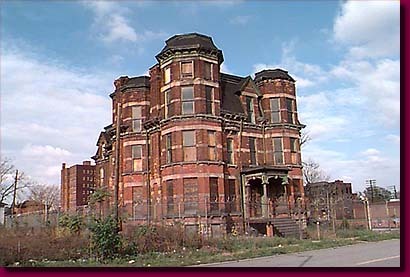 I'm not going to complain...at one time the city wanted to level the neighborhood to put in a GM factory! Actually, everyone wins with that deal. There are people in Detroit who want to live in the suburban development crosswinds put up. In order for Detroit to succeed, developers need to cater to everyone's tastes. Not all people want to live in historic homes or two story framehouses (although I wish they would ). But I think this deal was smart on Detroit's part. They managed to get people to move into this new development, and get homes restored (they would have been lost!!!). Crosswinds may have lost some money due to expensive historical renovations, but look how good this development made them look! Crosswinds has proved themself an able company at doing magnificient historical restorations and now people across the U.S. may ask them to do restoration work for them. Everyone has won! You know, I also wanted to mention that we complain so much about the slow pace of redevelopment in the city core, yet we forget about all the work that has been done in the neighborhoods. And these areas are what truely matter. 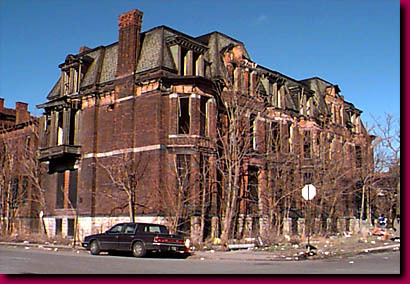 No matter how good the CBD will become, Detroit will never become a magnficient city again until the neighborhoods are fixed up. So far this is happening, and Detroit will soon be well on its way to attracting more residents into the city. Then, with more people, the CBD has a better chance of taking off. Maybe Allan can answer me on this, but are these neighborhood redevelopment projects the first effort at renewal targeted toward a middle and higher class population? Because in the past, the only renewal I have seen is through public housing blocks and crappy style low income apartments which have proved unhelpful. And another note on the projects-- as in low income housing. 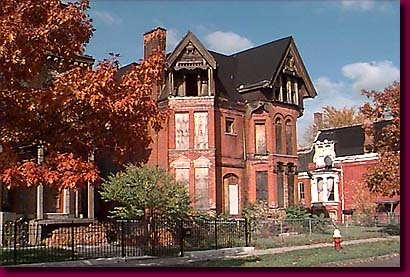 I'm really suprised Detroit hasn't started constructing more mixed income or low income rowhouses. They are a great success because they are not as expensive to build, and people with low incomes will be more than willing to move into a cheap, and brand new apartment within. Chicago is doing this as a project replacement. Tearing down public housing, and building low income rowhouses within highrise condos targeted toward the middle class. But yeah, I read the article about the city shutting the heat off too. I don't think some of the people there have a clue, that the place they are living in is about to see an implosion sequence within the next few years. It's time for them to find new digs. It's weird to see isolated homes in the city surrounded by grass fields. They are callled urban praries, and most large and medium sized cities in Michigan have them. So unfortunate. How very sad! 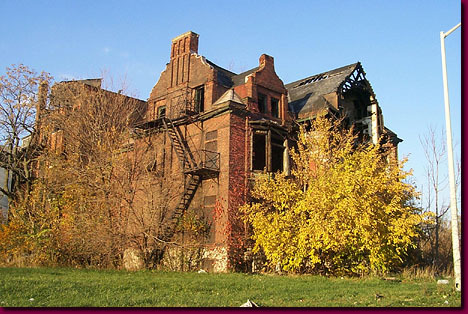 Detroit has lost so much due to the apathy and incompetence of city officials over the last 50 years.